Underage graduates and alcohol don’t mix, warns the North Coastal Prevention Coalition. Since San Dieguito Union High School District hosts graduation ceremonies at four high schools on June 14, officials are using this occasion to urge parents and graduates to follow area laws prohibiting underage drinking. The “Graduation and Summer Safety Bulletin,” sent jointly from the school district, the San Diego County Sheriff’s Department and San Dieguito Alliance for Drug Free Youth, alerts students and parents on safety first and the importance of local social host ordinances. Social host ordinances hold party hosts accountable for making sure minors do not have access to alcohol. Violators may face six months in jail and pay fines up to $1,000 including costs for law enforcement services. Party hosts are required to control access and quantity of alcohol, verify the ages of guests, and supervise the activities of minors. According to a 2011 survey of over 300 adults in the north coastal region, only 26% were aware there was a social host ordinance in their community.1 The reason for the strict law, enacted in all 18 cities and the unincorporated area of San Diego County, is clear. “We want all of our students to return to their studies either at college or high school in the fall, and not deal with the consequences of a risky decision while on summer break,” said San Dieguito High parent Kenneth Hansen. 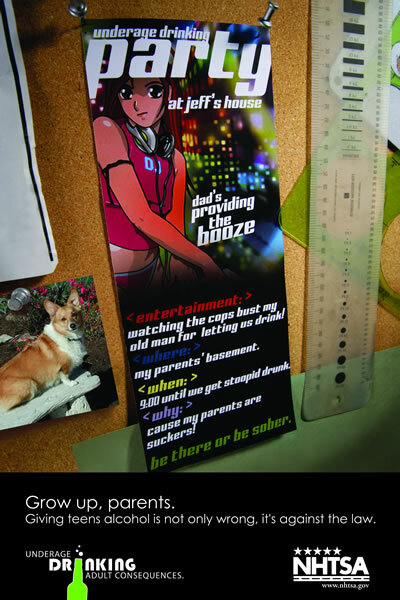 The public is encouraged to report underage drinking parties to: San Diego County Sheriff’s Department (858) 565-5200 or Crime Stoppers (888) 580-8477. (2002-2006 National Surveys on Drug Use and Health). ← Should Vista Ban Smoking in Public?